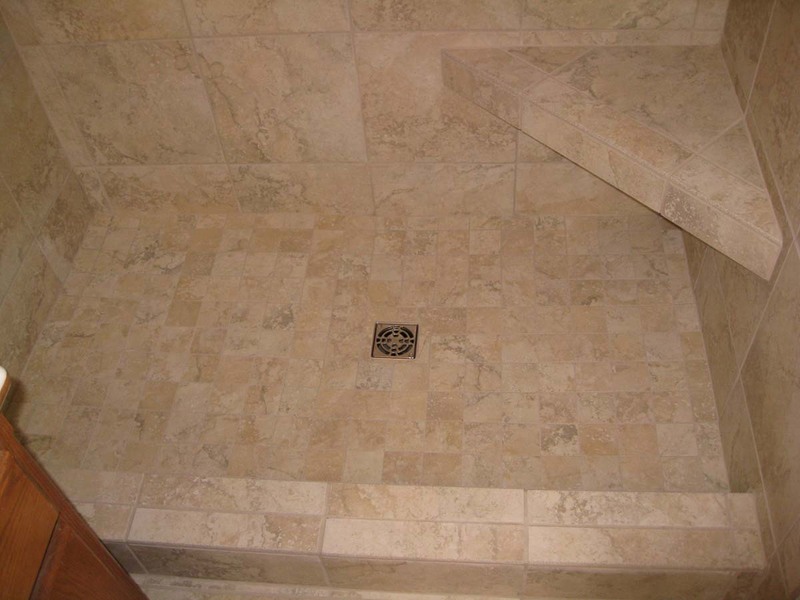 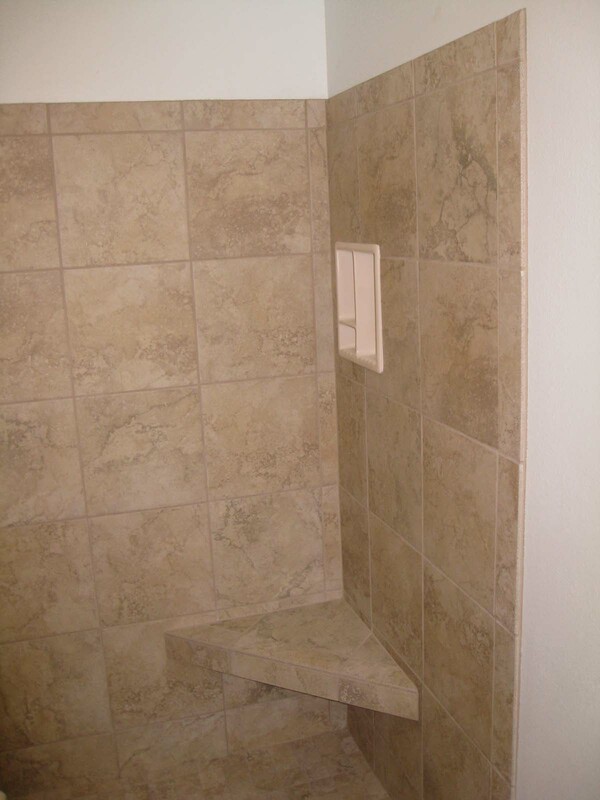 This bathroom remodel included a custom tiled shower and a large soaking bathtub by Kohler. 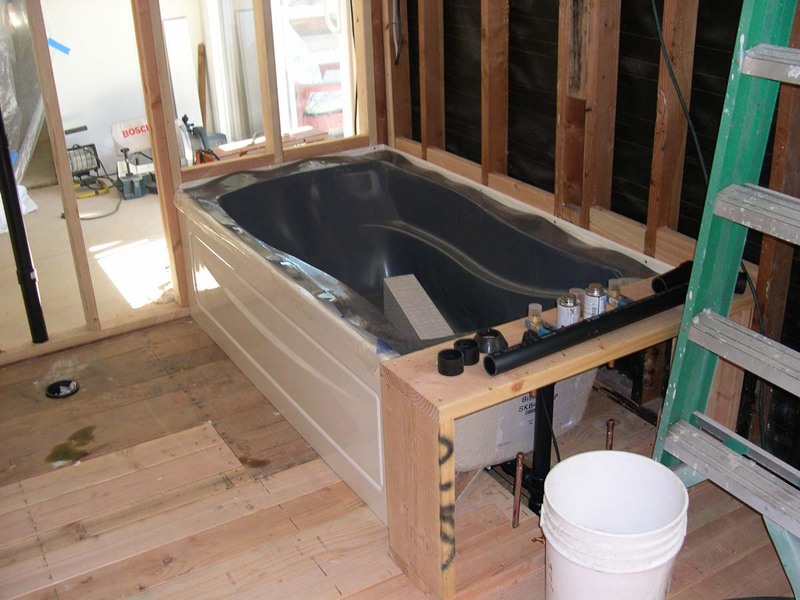 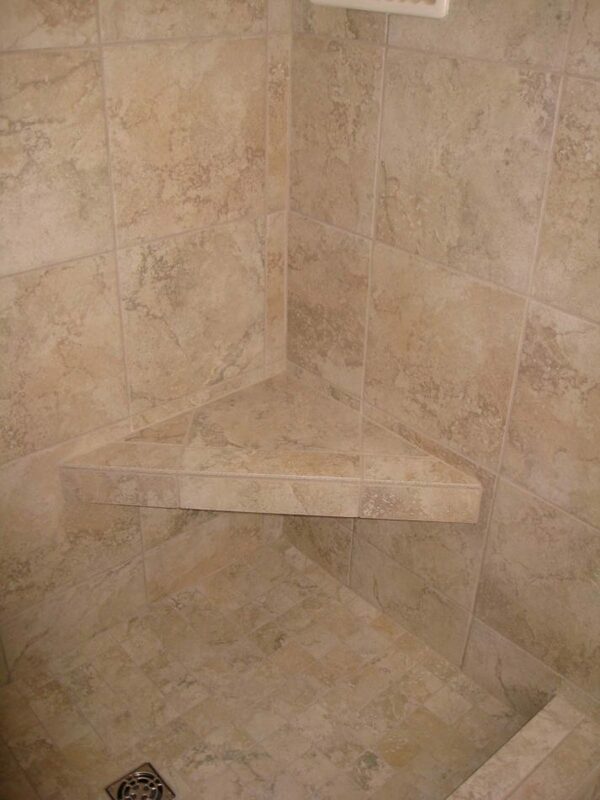 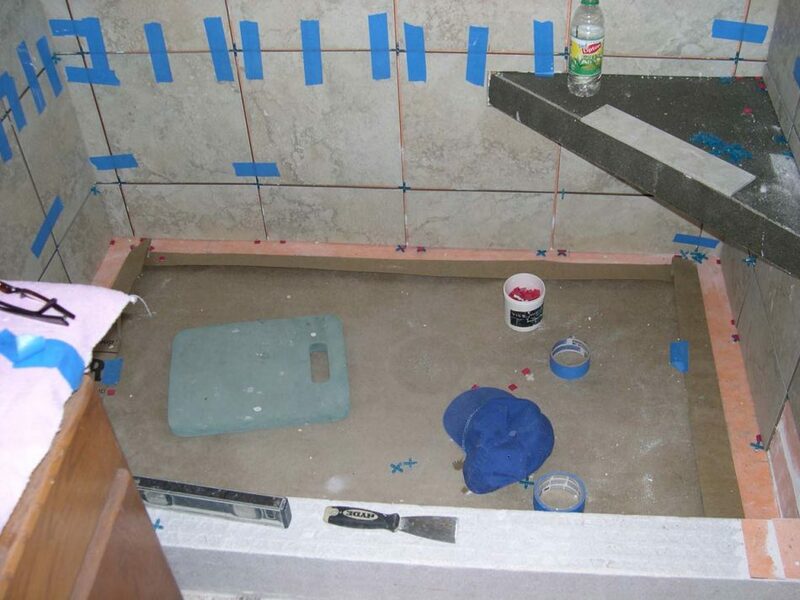 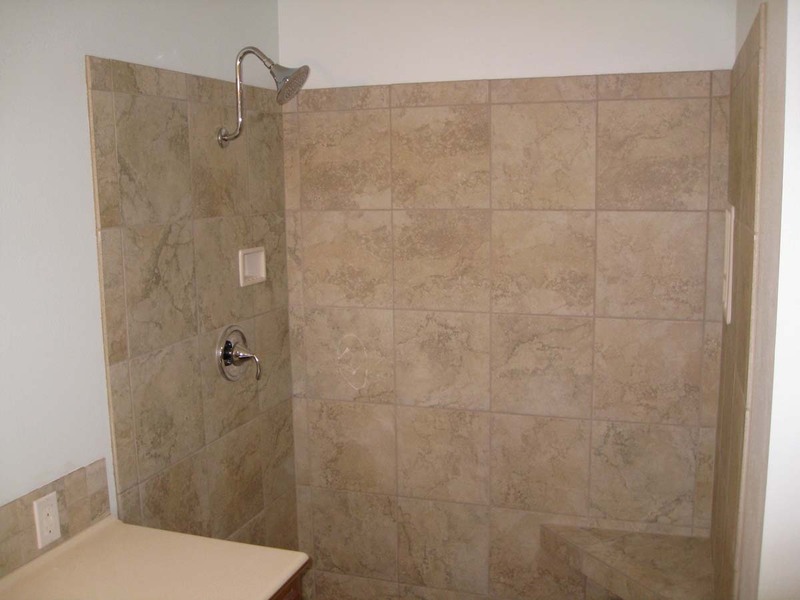 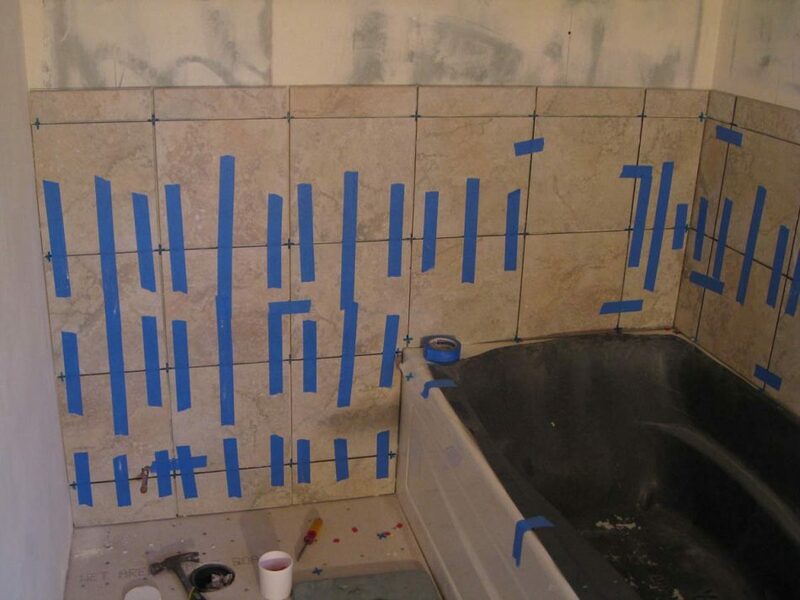 The shower was constructed using the Schluter Systems waterproofing system. 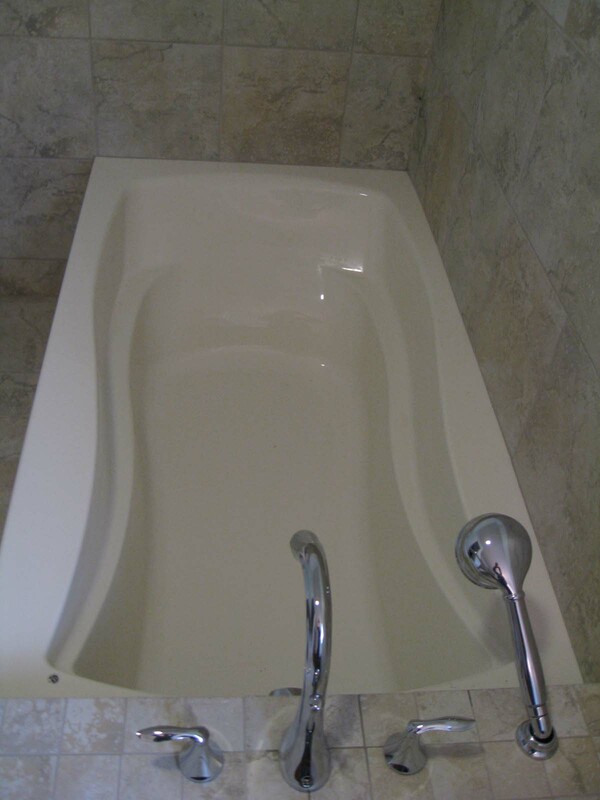 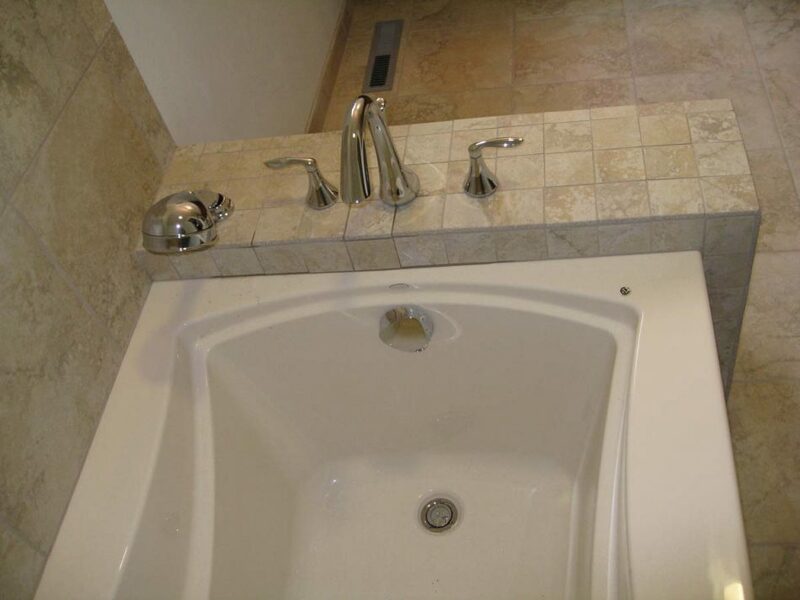 The shower, and bathtub plumbing fixtures are Moen. 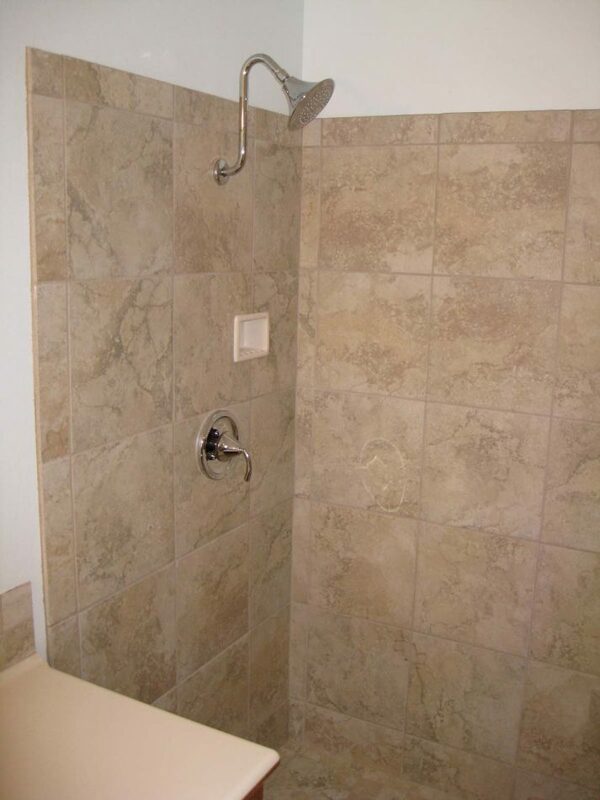 The tile is from Dal-Tile, Roma Collection. 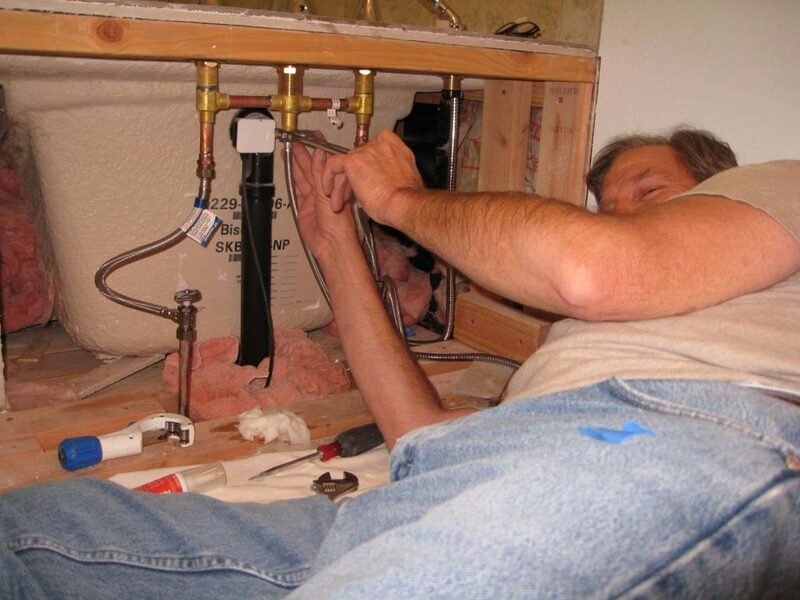 Making plumbing connections to bathtub valve. 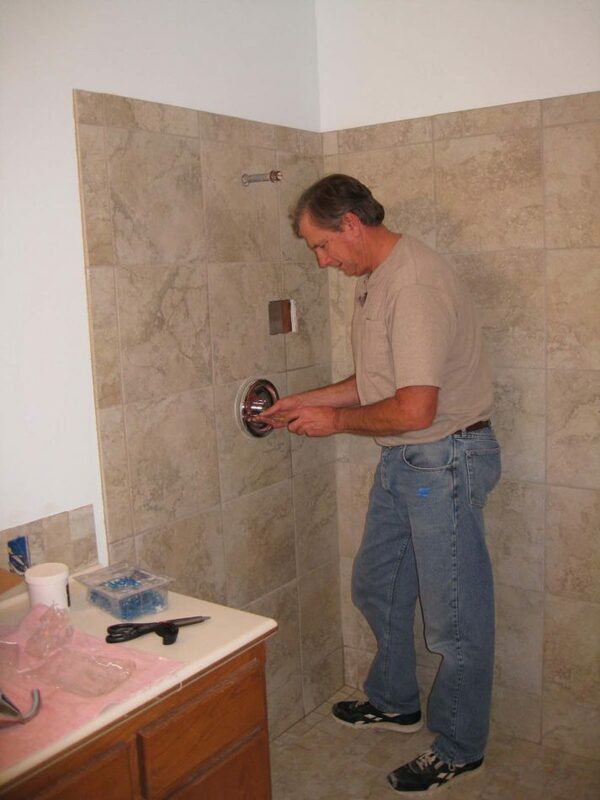 Final touches being done by Jim. 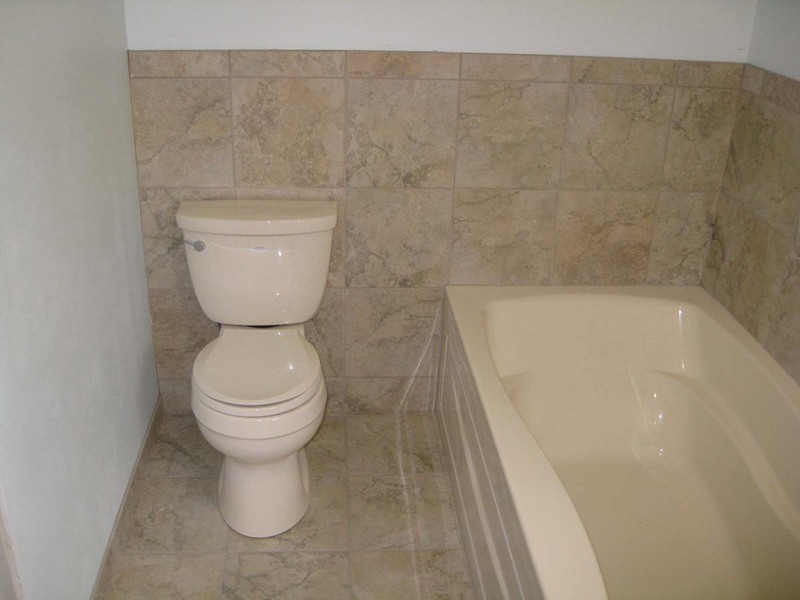 Kohler bathtub, and Kohler toilet.